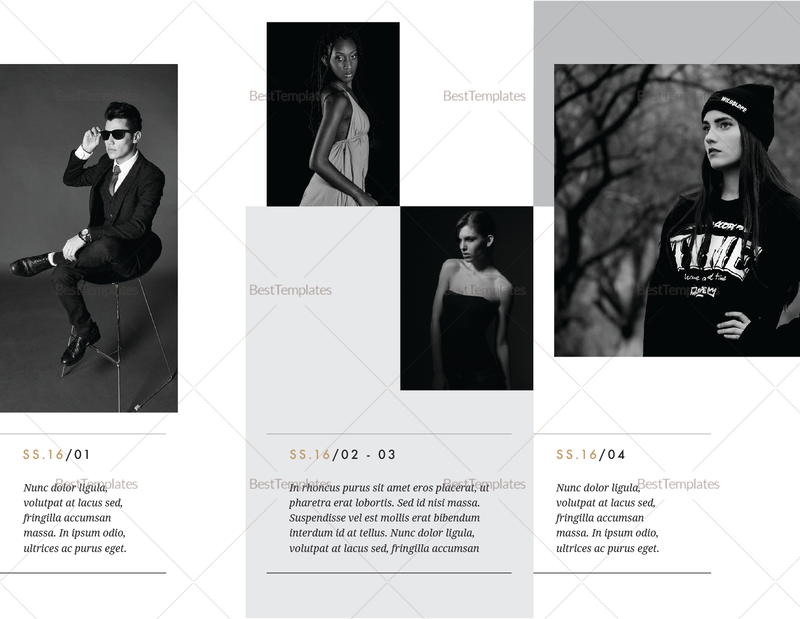 This classy black-and-white brochure template certainly makes a fashion statement, as it should. With fully-customized files and high-resolution graphics to show the next big thing in the fashion world. 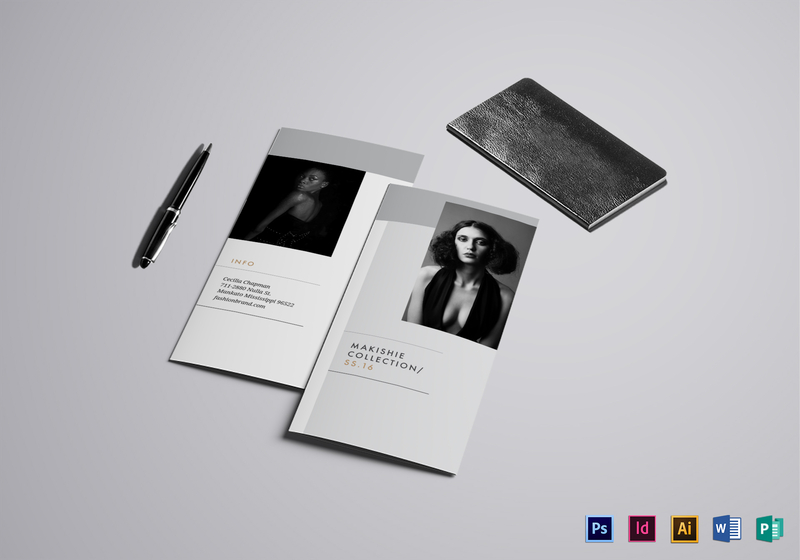 Available for download with high-quality photos and graphics, download and edit this template to create a brochure that better serves as your portfolio – stylish, creative, and classy.